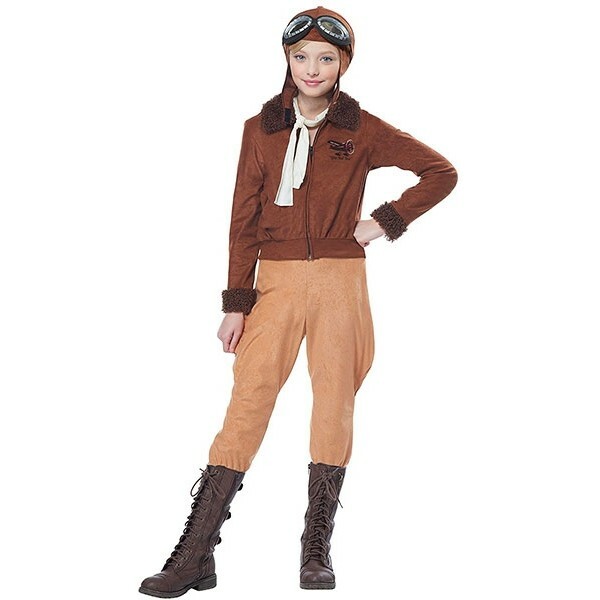 Soar bravely into the skies in this inspiring Amelia Earhart costume! This costume is perfect for Halloween or day-to-day dress-up play. The set includes a bomber jacket, pants, a neck scarf, a hat, and goggles. Please note: boots not included.